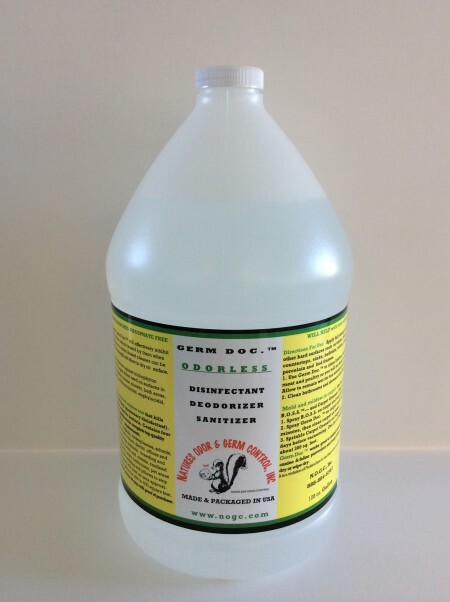 Super Disinfectant, Germicide, Fungicide, Virucide, Detergent, sanitizer, mildewcidal, fungicidal, Odor control, mold and mildew remover, control diseases such as canine and feline parvovirus and many others. 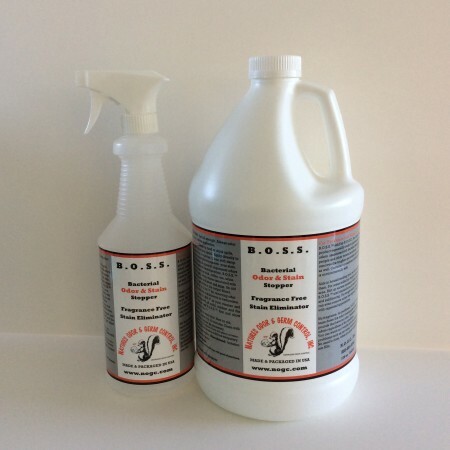 RECOMMENDED FOR USE IN: Hospitals, nursing homes, schools, colleges, public restrooms, veterinary clinics, dental offices and labs, food processing plants, pet shops, kennels, breeding and grooming establishments, airports, hotels and motels, confined animal houses, households (kitchens, sinks, bathrooms, pet areas or just anywhere). Even lightly mist bedding and pillows to stop the spread of colds and flu. 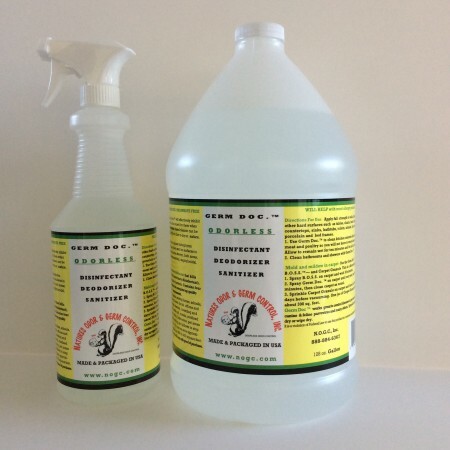 One quart will treat an area approxi­mately 75 to 100 square feet. One gallon for 300 to 400 square feet. Use Germ Doc. ™ to clean kitchen counters after cutting up meat and poultry so you will not have to worry about ecoli. Allow to remain wet for ten minutes and let air dry or wipe dry. Spray B.O.S.S. on the carpet and wait 30 minutes. 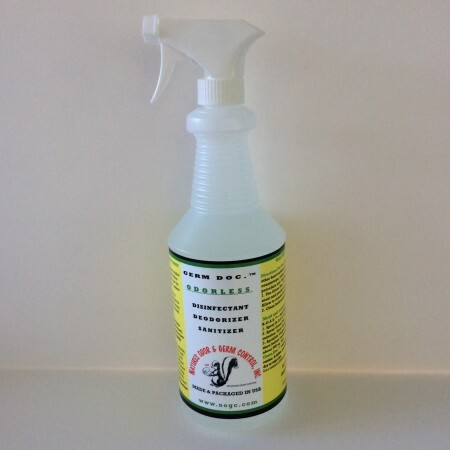 Spray Germ Doc. ™ on the carpet until very wet; wait 45 minutes, then clean carpet as usual. Sprinkle Carpet Granule on the carpet and leave for four to five days before vacuuming. 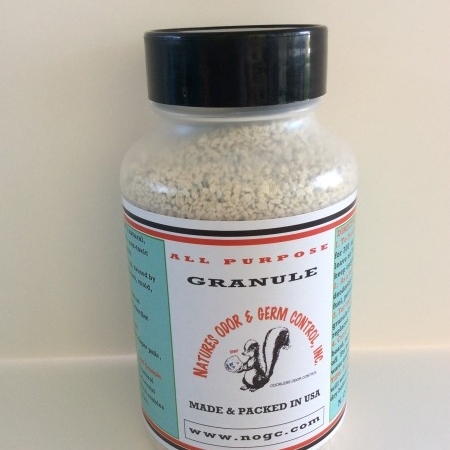 One jar of Carpet Granule will treat about 300 sq. feet.